When tech companies face a critical inflection point, they often turn to advisory boards for guidance. "Should we expand into a new market, or focus on solidifying market share in our current space?" These questions can't be answered with a one-size-fits-all approach. Instead, the best advisory boards combine a breadth and depth of expertise that allows them to break large questions down into their most critical parts. To see interdependencies and anticipate consequences that might otherwise be missed. The true goal of a great advisory board is not prescribing answers, but in providing the perspective and framework for arriving at them. Why should this approach be limited to businesses? What if it were applied to the critical inflection points in your life? Our advisors are Stanford MBAs with backgrounds serving as strategic advisors to growing companies, in roles including management consulting, private equity and venture capital. Too often we witnessed a significant gap between the caliber of advice demanded by businesses, and the caliber of personal financial advice afforded to the leaders of those businesses. Palo Alto Wealth Advisors was built to bridge this gap. From buying a house, to considering a job offer, to understanding how one might inform and impact the other - we are there to help you make the most informed choices possible. Our process is focused on objectively analyzing the details of your key choices, and creating a framework to answer them. Our sole source of compensation is for the advice we provide - not the investments we recommend. As a Registered Investment Advisor, we have a fiduciary duty to act in the best interest of our clients. For more than a decade, tech professionals have turned to our deep expertise and rigorous analysis to grow and protect their wealth. Ryan has more than a decade of experience providing wealth management advice to tech professionals. In 2016, he was named a Silicon Valley Business Journal "40 under 40". Prior to founding Palo Alto Wealth Advisors, Ryan served in an advisory board role to technology CEOs as a venture capitalist and management consultant. He holds an MBA and BAs in Economics and International Relations from Stanford University. Nate's extensive investment management experience includes serving as a Director at Aetos Capital where he helped guide the investment strategy for the firm's $10B of institutional assets. Prior to Aetos, Nate worked in private equity, where he served in various roles, from board member to interim CFO, to help portfolio companies grow their business. He holds an MBA from Stanford University and a BA from Rice University. While no relation to Ryan, Melissa shares a similar background, with extensive experience serving tech clients in the venture capital sphere while at Top Tier Capital and Shasta Ventures. Melissa holds a BA in Business Administration from Notre Dame de Namur University. As the founding partner of Tandem, LLP, Lynn has more than 20 years of experience providing tax guidance on the full range of issues facing tech professionals. Lynn's strength is helping clients think strategically about their taxes - and integrating that advice into the client's broader financial plan. At Palo Alto Wealth Advisors, we practice what we preach. That is why we have assembled our own advisory board -- leveraging our networks from the venture capital community, institutional finance and the Stanford GSB, to provide clients with access to some of the sharpest minds in their respective fields. 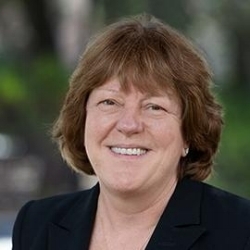 Currently the Chief Investment Officer overseeing $10B of assets for Aetos Capital, Anne previously served as the CIO for Stanford Management Company, providing investment advice for Stanford University's $20B endowment. We are privileged to benefit from Anne's keen investment insights on behalf of our clients. As a partner at Bessemer Venture Partners for 15 years, Rob oversaw the firm's investments in India before leverage his insights on the patterns of tech IPOs into a successful hedge fund. As a veteran of over 40 company boards, Rob's breadth of experience in advising technology executives is a tremendous resource to our firm and our clients. Charles' deep experience in the tech space includes roles at Iron Port and Google. Prior to leading multiple mobile platform firms to successful exits, he held VC roles at Softbank and In-Q-Tel. Currently, Charles serves as Managing Director of early stage Venture firm Precursor Ventures. This breadth of experience provides an invaluable sounding board for our entrepreneurial clients.